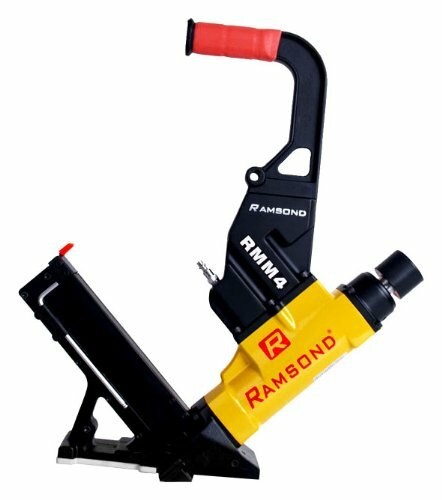 Ramsond has quickly become a recognized name for the quality and durability of its products. 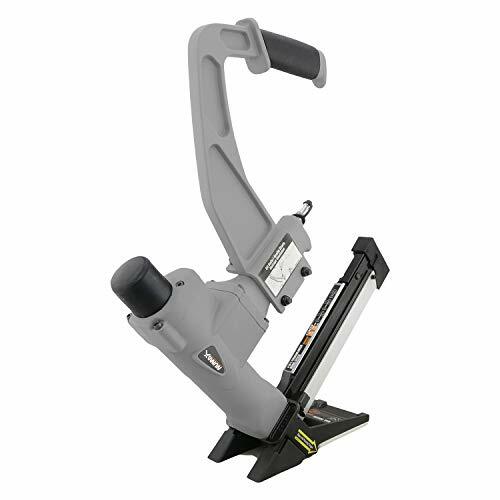 The Ramsond RMM4 2-IN-1 flooring stapler & cleat nailer combination is another testament to the recognition that Ramsond tools now enjoy. 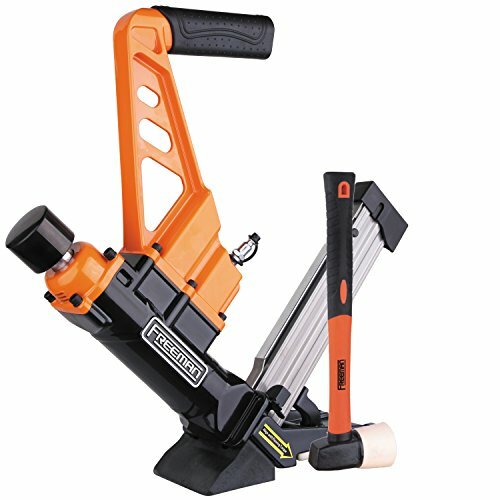 With over 30,000 units sold in North America, the RAMSOND (R) RMM4, patented combination 2-in-1 hardwood cleat nailer and stapler is an engineering marvel. 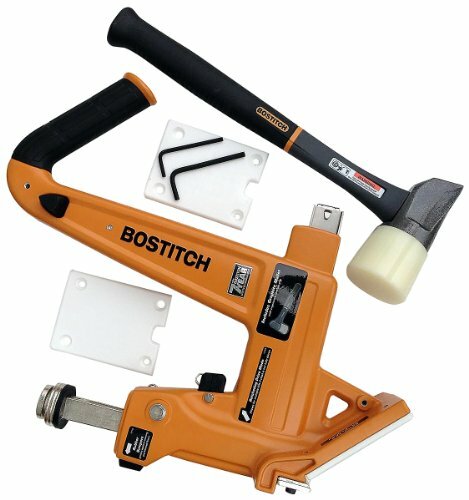 It shoots both cleat nails and staples. It shoots 15.5 and 16 gauge staples ranging from 1 to 2 inches, and "L" cleat ranging from 1-1/2" to 2". 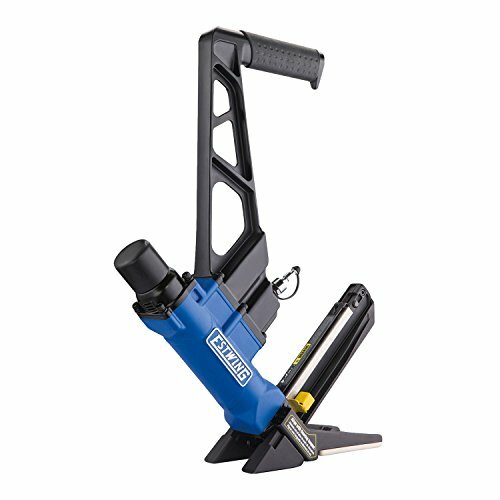 The 2-in-1 magazine has a capacity of 100 staples/cleats. 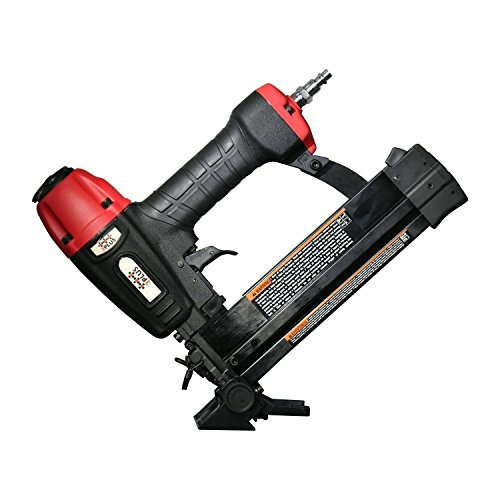 It is highly durable and contractor/industrial quality, yet light weight and agile. 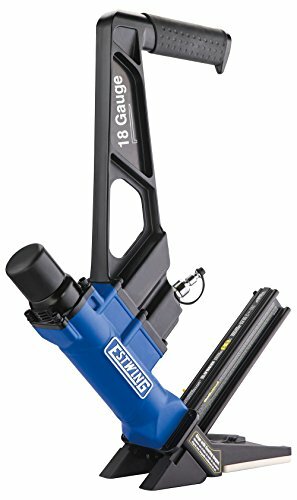 The body of this gun is constructed of durable die-cast alloy for job site durability and low weight. It comes with an extra-wide composite non-marring base plate for added stability and protection against scratches to the flooring surface. 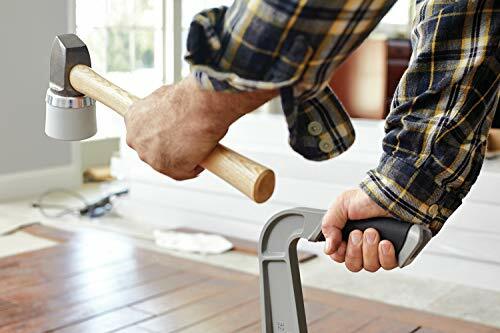 It provides a conveniently long reach handle with an ultra-padded cushioned grip for balance and optimal operating comfort, stability and safety. Internally, the driver blade is constructed of a very tough heat treated and hardened steel. 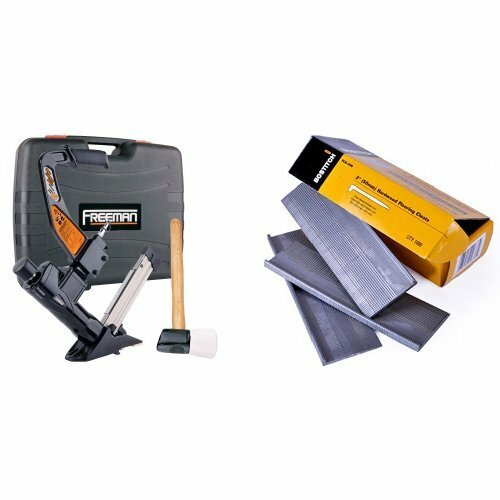 The composite base plate designed to allow the user to drive fasteners much faster and closer to the wall while protecting the flooring surface from marring. 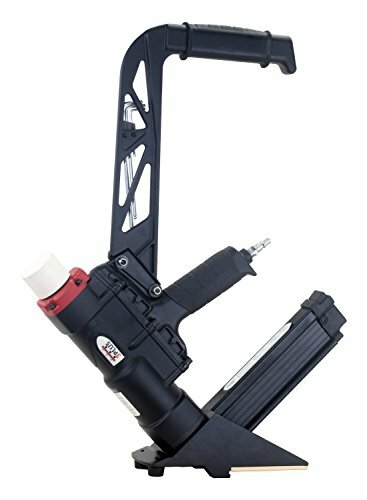 This ergonomically designed multifunctional tool is manufactured under the strict ISO guidelines for quality control. 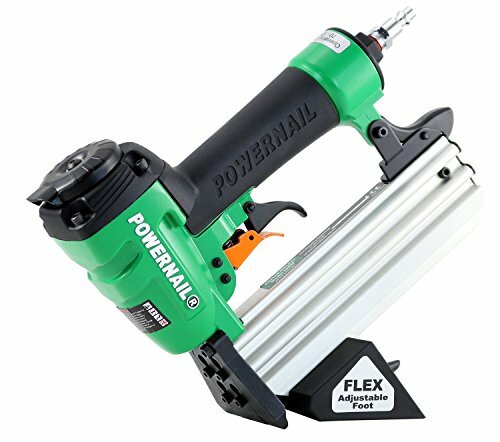 With nearly 30,000 sold, this product has become a symbol for reliability and durability. 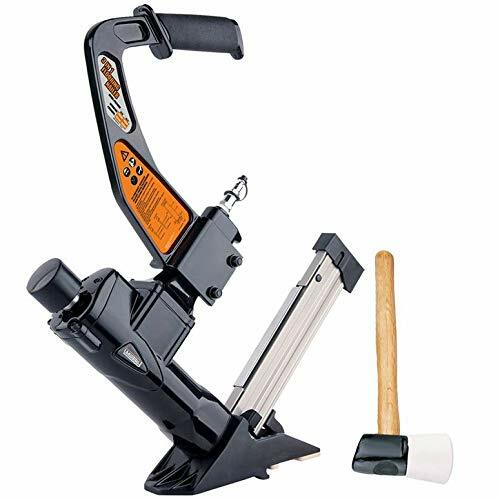 The patented design of the Ramsond RMM4 Two-in-One Hardwood Flooring Stapler and Cleat Nailer lets you shoot both staples and cleat nails from the same gun--without changing magazines. 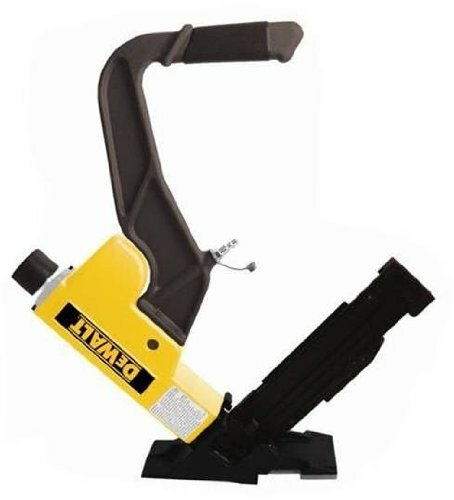 Powered by compressed air, this tool features patented air booster chambers for maximum driving force and speed. It tackles virtually all thickness of hardwood flooring and includes a non-marring base system to protect against damage. 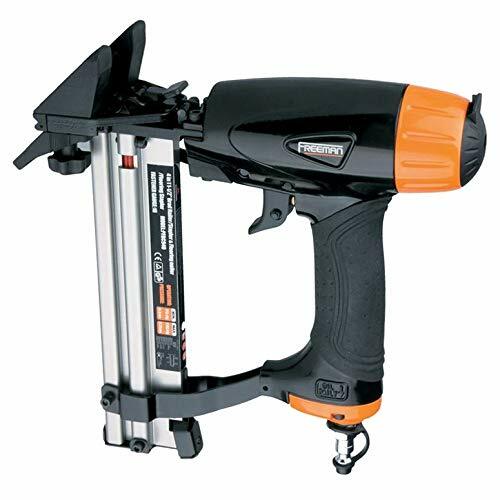 For ease of use, its durable, die-cast alloy body is lightweight and comfortable to hold. 1" to 2" and "L" cleats from 1-1/2" to 2". 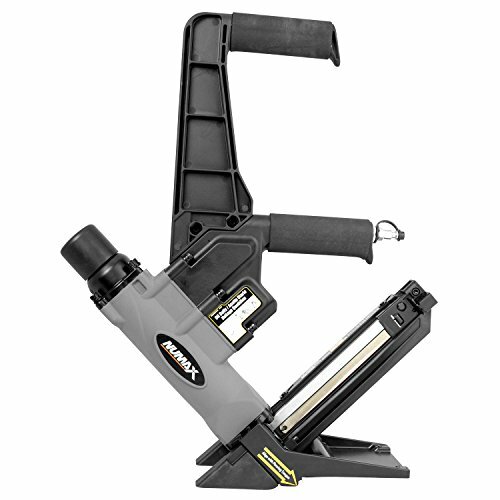 The two-in-one magazine and driver system accepts both cleats and staples. View larger. 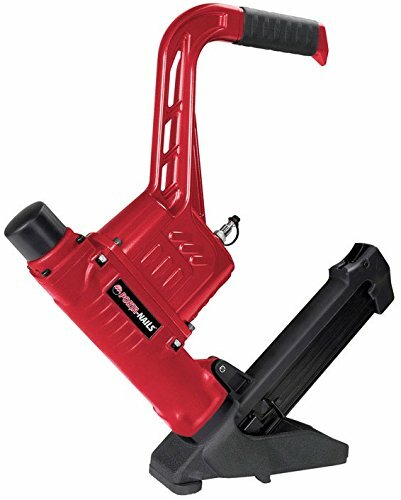 The RMM4 continuously stores compressed air in two patented air acceleration/booster chambers in the handle. View larger. 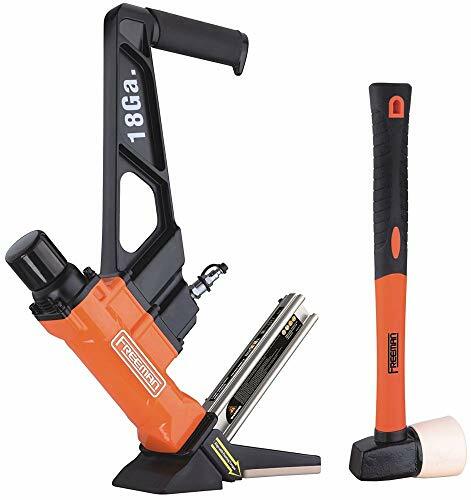 Flooring Stapler/Cleat Nailer, mallet, goggles, bottle of oil, four Allen wrenches, internal key/wrench, O-ring kit, two nylon composite base plates, and a blow-molded carrying case. 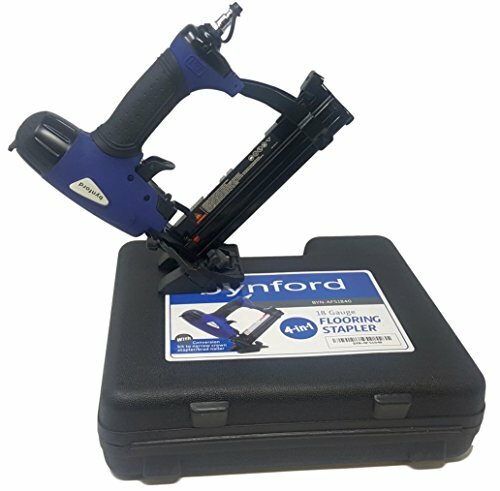 The stapler/cleat nailer, mallet, goggles, oil, and accessories store neatly in a durable carrying case.